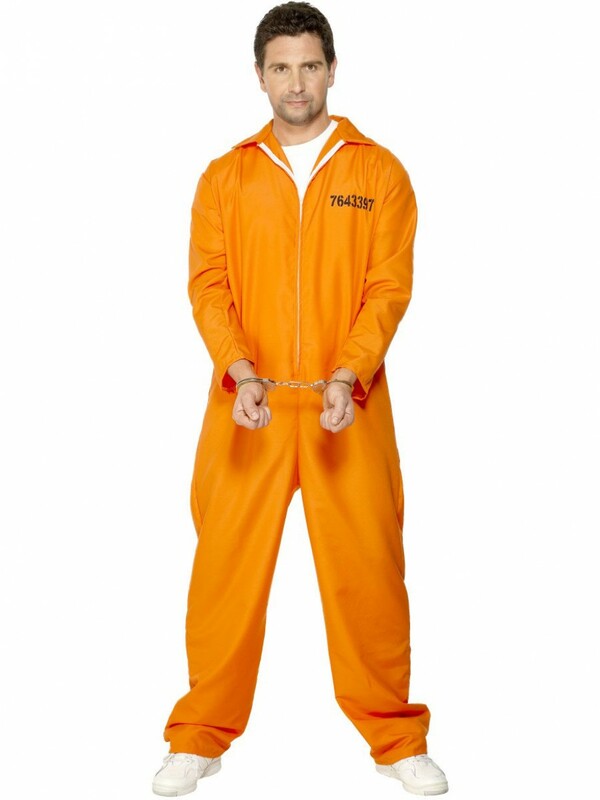 Hard to be missed; this bright all-in-one Prisoner Costume is ideal for Uniform themed fancy dress! Make a run for it with this brilliant Prisoner Costume. Perfect for Uniform themed fancy dress; this costume includes a vibrant orange boiler suit. The bright colour of the jumpsuit makes this costume hard to miss. The all-in-one outfit has a white zipper down the front which can be adjusted to suit the wearer. On the front of the Prisoner Costume is a prisoner ID number ‘7643397’ printed on the front to give this costume a bit of edge. This outfit can be worn with clothes underneath to add comfort, the colourful nature of the jumpsuit will most definitely turn some heads! This fun Prisoner Costume is ideal for any Uniform themed fancy dress occasion!